This is Carol, Roger's wife. A Virginia woman took to the internet in 2012 to voice her displeasure with a contractor who had done repair work on her townhouse. That lead to the most recent first amendment case that proves Legal Schnauzer publisher Roger Shuler is unlawfully incarcerated. Dietz v. Perez holds that a preliminary injunction in an alleged defamation case is an unlawful prior restraint under the first amendment. It's the most recent national case to make that finding adding to the roughly 230 years of U.S. law on the subject. Jane Perez heaped criticism on Dietz contractors after she felt that they botched the home repair job. She went onto consumer sites Yelp and Angie's List to state her criticism, and Dietz responded by suing her and asking a judge to force her to remove critical comments. The judge refused to grant a full injunction, but he did force Perez to remove comments about two issues. The Virginia Supreme Court overturned that ruling and said that Perez could not be forced to remove the comments. Here is a link to a report on the case by the Reporter's Committee for Freedom of the Press: Virginia Supreme Court Reverses Injunction Against Online Commenter. "A Virginia woman being sued by her home contractor for libel won't have to remove negative comments she posted on Internet review sites about him, the Virginia Supreme Court ruled. In a one-page ruling issued on Dec. 28, a three-judge panel of the state Supreme Court vacated the Circuit Court’s Dec. 7 order, saying the injunction was not justified and the lower court did not specify how long it would be effective." The American Civil Liberties Union of Virginia and a Washington-based advocacy group called Public Citizen helped represent Perez in the case. This is Carol, Roger's wife. 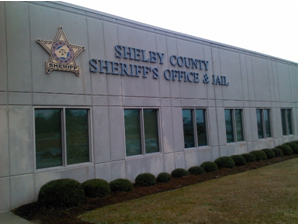 Six fights have broken out in a recent two week period at the cell block where Legal Schnauzer publisher Roger Shuler has been housed in the Shelby County Jail. Shuler has not suffered any injuries and he's not aware of any injuries to anyone else, but it's a sign of the volatile conditions in which he has been unlawfully placed. "I want the public to understand that my physical well-being is in danger, and that also applies to other inmates here who can be in a peaceful environment one moment and in an ugly situation the next. The change usually happens when one or two guys make bad decisions and it can make the situation dangerous. Most recently I had a fight break out near my bunk when I was sleeping in the middle of the night and fortunately no blows happened, but if they had it would have been inches from my head." This is Carol, Roger's wife. A New York Times article on the incarceration of Legal Schnauzer publisher Roger Shuler quotes several experts who all state that Judge Claud Neilson is acting unlawfully in the case. Two legal experts are quoted directly in the article and several others apparently were consulted. The Times does not cite any legal expert who agrees with Judge Neilson's actions in the case. "The Times experts are unanimous that Judge Neilson is acting way outside the boundaries of the law in this case," Roger Shuler said. "The law is clear that an injunction is not allowed in a defamation case and the Times' experts point that out. That Neilson has placed an injunction on me and held me unlawfully in jail for four months should be mind-boggling to anyone who cares about the rule of law in the United States." The wife of Legal Schnauzer publisher Roger Shuler remains under threat of arrest because of a lawsuit filed by Republican political figure Rob Riley. Carol Shuler never was a participant in the Legal Schnauzer blog prior to Riley's lawsuit and the subsequent arrest of Roger Shuler on Oct. 23. Riley included Carol Shuler as a defendant in his case, claiming she was a "contributor and administrator" for the blog. In court papers Riley claims that Legal Schnauzer "purports to be a joint enterprise" between Roger and Carol Shuler. The blog, however, does nothing of the sort. It lists one author, Roger Shuler, and it lists no contributors or administrators because there aren't any. "4. The Court reserves determination on whether to remand Respondent Carol Shuler to the custody of the Shelby County Sheriff." This is Carol, Roger's wife. Alabama Attorney General Luther Strange plans to testify in a defamation lawsuit his former aide Jessica Medeiros Garrison has brought against Legal Schnauzer publisher Roger Shuler. Garrison lawyer Bill Baxley made that announcement at a recent hearing in the case. It is not clear if Baxley meant that Strange would testify in a deposition or at trial or both. 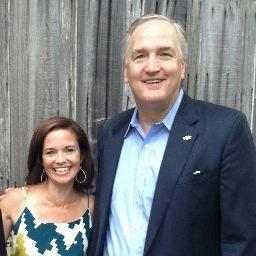 "Luther Strange has not shown a tendency to testify under oath in public in sensitive matters," Roger Shuler said. "He failed to appear at a hearing on the VictoryLand liquor license, so it will be interesting to see what he does in the Garrison lawsuit." This is Carol, Roger's wife. An incident report in the arrest of Legal Schnauzer publisher Roger Shuler shows that the warrant in the case was not signed, apparently meaning there was no judicial authorization for the arrest. That comes on top of revelations that a prosecutor did not have a copy of the warrant and did not turn one over in Shuler's resisting arrest case. Both pieces of information point to the fact that there either was no warrant at all or no valid warrant that authorized Shuler's arrest. "The incident report has a box that says 'warrant signed?' and the box for 'no' is checked," Shuler said. "That's the only information I have at this point, but it strongly suggests that no judge signed any warrant. The prosecutor's failure to turn over a warrant suggests there was no warrant at all of any kind, and it again adds to the mountain of evidence that suggests that I'm basically the victim of a kidnapping." This is Carol, Roger's wife. The New York Times' failure to name the judge in the Legal Schnauzer case raises questions about the paper's motivations, competence or both. The article repeatedly references a judge who makes unconstitutional rulings in the case, but never mentions that it's retired Circuit Judge Claud Neilson. "I find it hard to believe that reporter Campbell Robertson and a team of editors could 'forget' to include that information," said Legal Schnauzer publisher Roger Shuler. "That makes me think that Neilson's name was intentionally left out of the article and raises the question why was that done. The only answer I have is that if his name is in there readers will begin asking questions about his political affiliation and his ties to certain corporate and educational entities. Leaving his name out short-circuits such inquiries and essentially protects those who are pulling the judge's strings." This is Carol, Roger's wife. The New York Times repeatedly criticizes the judge in the Legal Schnauzer incarceration case, but it never mentions the judge's name. One expert compares Circuit Judge Claud Neilson to an idiot and says the judge's actions are "unconstitutional." Another expert says Neilson's actions are "really way out of bounds." And every expert cited in the article says that Neilson is acting unlawfully. But Neilson's name is never mentioned. "Claud Neilson is essentially the central character in the story," Roger Shuler says. "He certainly is the central bad guy and comes in for extraordinary criticism from those in his own professional field, the law. That The New York Times chose not to mention him by name is one of the most baffling editorial decisions I've ever seen. It would be like a Times reporter covering a New York Yankees game with the Yankees winning on a ninth-inning home run, but the newspaper never reporting who hit the home run. It's strange beyond belief, one of many oddities in a very strange story." This is Carol, Roger's wife. The New York Times in a recent article about the incarceration of Legal Schnauzer publisher Roger Shuler inaccurately claims that Shuler plans to bring federal criminal charges against the judge. "His wife spoke of collecting damages when this is over, but Mr. Shuler is thinking beyond civil remedies this time: He is planning to bring federal criminal charges against the judge." "I know of no provision under the law where any citizen can bring federal criminal charges against anyone else, much less a judge," Shuler said. "My understanding is that any citizen can contact the FBI about alleged criminal activity, and then it's up to the Bureau to take that claim to the appropriate U.S. Attorney. I have no means to bring criminal charges against anyone, and it baffles me how one of the world's foremost newspapers could make a statement that is so contrary to the facts." This is Carol, Roger's wife. University of Alabama trustee Paul Bryant Jr. contracted hepatitis during his youth. That is the most personal revelation from a Bloomberg Markets investigative article about the Bryant business empire in the January 2014 issue. "Bryant, who is 6 feet 4 inches (1.93 meters) tall, would like to have followed his father into football. That dream ended when he contracted hepatitis, possibly from a dirty dental instrument, and missed a whole year of high school and most of two others, he says." "The Bloomberg article does not say what form of hepatitis Bryant had, whether he still has the disease, or what impact it has had on his life," Legal Schnauzer publisher Roger Shuler says. "The article raises more questions than it answers about hepatitis, but it does give a rare personal glimpse into Bryant's life outside the office." This is Carol, Roger's wife. An article covering the Legal Schnauzer first amendment case was written by reporter Campbell Robertson and published in the Sunday, Jan. 12 issue of The New York Times. The article in the nation's most prestigious newspaper came after an almost three hour interview with Carol Shuler and an hour's worth of four separate interviews with Roger Shuler via telephone from the Shelby County Jail, where he has been unlawfully incarcerated since Oct. 23 due to a lawsuit filed by Republican political figure Rob Riley. As Shuler noted previously, he is pleased with the attention The New York Times has shined on the issue of terroristic threats against journalists and bloggers and those who support free speech, however, the article contains a number of glaring inaccuracies. "I had specifically told Campbell Robertson that we are open to being represented by the right lawyer with the right strategy under the right circumstances. I felt I made that very clear, but there must have been some misunderstanding because The New York Times incorrectly reported that I was refusing to hire a lawyer. That's not true and I just want to make sure that's clear." "The New York Times' reporter Campbell Robertson incorrectly hinted that I have a long history of problems with defamation cases. Here is the truth. In Mr. Robertson's paragraph on that subject, he refers to a lawsuit involving my neighbor, a man named Mike McGarity who has an extensive criminal record. To make it clear that lawsuit had nothing to do with defamation or nothing to do with my role as a journalist. It was strictly about a property matter that Mr. McGarity sued me over and to make it clear he has an extensive criminal record that has been documented on my blog. To summarize, I became a professional journalist in May 1978 and had never been sued in my capacity as a journalist for defamation or anything else until Fall 2013. That's more than 35 years without a defamation lawsuit and The New York Times article did not make that clear. The only defamation lawsuits I've ever had are the ones involving Rob Riley and one filed roughly the same time by the same political forces in Alabama from Luther Strange's former campaign manager Jessica Mederios Garrison. That's it. For the record, Mr. Robertson told me that he has one defamation claim that he has had to fight and he's not worked for The New York Times anywhere near 35 years so essentially he has more of a history with defamation cases than I do. And while I very much appreciate Mr. Robertson's efforts to report the story and the spotlight his newspaper shined on the issues, I do want to make sure that certain inaccuracies are corrected." Bryant's Insurance Company Stepped on a Criminal Path Because of Fraudulent "Side Agreements"
This is Carol, Roger's wife. Paul Bryant Jr.'s insurance company dipped into criminal activity because of "side agreements" that a federal jury in Pennsylvania found to constitute fraud. Bloomberg Markets magazine in its January 2014 issue, reports on Alabama Reassurance and its connections to the prosecution of Philadelphia entrepreneur Allen W. Stewart. The case involving Alabama Re centered on two clauses in an insurance contract--one clause stated that there were no other "understandings between the parties." But a second clause, reached on or about the same day, limited Alabama Re's possible losses in its contract with Stewart's company, Summit National Life Insurance. The clauses guaranteed that Alabama Re would suffer little or no loss, and a federal jury found the contract to be fraudulent. "The owner of one imperiled insurer, Philadelphia lawyer Allen W. Stewart, was convicted by a Philadelphia jury in 1997 on 135 counts of racketeering, wire fraud and money laundering and sentenced to 15 years in prison. Nine of those counts concerned a reinsurance agreement with Alabama Re. In 1991, Stewart’s Fidelity General Life Insurance Co., facing insolvency, paid Alabama Re $412,500 to take on $15 million of its liabilities, according to the indictment. Regulators in California and Arizona rejected the agreement, saying it didn’t really shift the liability. Fidelity and Alabama Re then signed a new agreement in March 1993, which included a clause saying there were no other 'understandings' between the parties. Yet on or around that same day, a side agreement was signed with Fidelity’s parent company, Summit National Life Insurance Co., the indictment says, limiting Alabama Re’s possible losses to $481,250, guaranteeing that Alabama Re would suffer little or no loss."